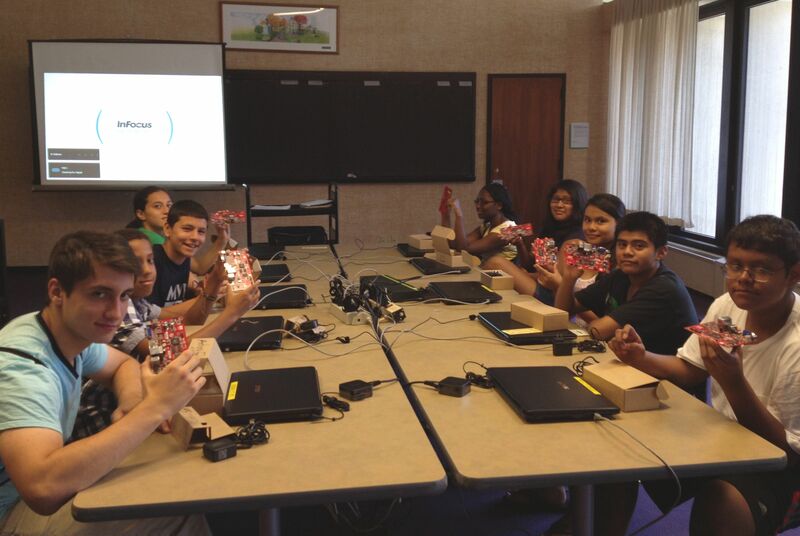 The White Plains Public Library is proud to announce the first in what is expected to be a series of exciting new technology programs geared specifically for teens: Hacker Academy: How to create and program your own computer. In this course, consisting of four one and a half hour sessions from July 11 through August 1, teens will be introduced to the world of small board computers as well how to hack them to boot and use Linux. Provided for each of the 10 participants in the course is an Android-based computer, specifically the APC 8750 from VIA Technologies, Inc. What is truly unique to this course is that each attendee, upon completion of the course, will get to keep the computer. Costing only $49 and being able to be displayed on a television, such affordable computers can open up the world of computing to households that would not otherwise be able to afford a conventional home computer. The program is being made possible through grants to the White Plains Library Foundation from the Shinnyo-en Foundation and the Wal-Mart Foundation. The program will hold its final session this Thursday, August 1st.